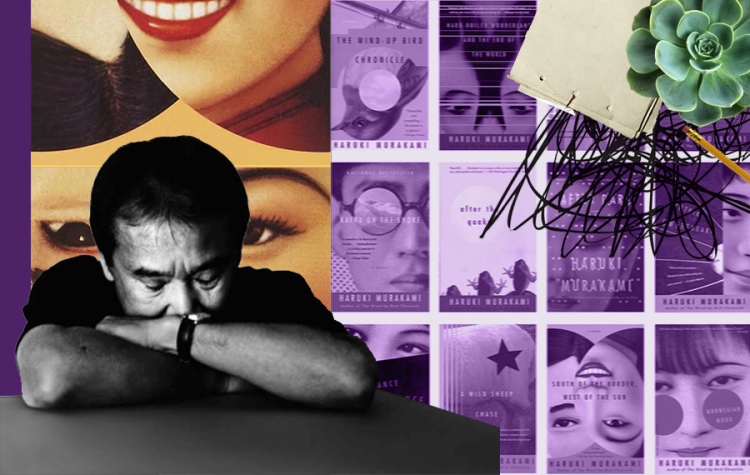 Haruki Murakami is renowned for his dream-like, vivid, and solemn novels. Such elements like old jazz records, ear fetishes, cats, alleys, secret passageways, and unexpected calls are the most common among his writings. One of the most dominant impressions is that Haruki Murakami introduces the saddest characters in modern fiction–and they can be perfect company when you’re under your own bad weather, especially. Melancholy moods and sometimes forlorn emotions go along with the progression of the stories that Murakami threads, sure, but you’ll learn from them; coping with sadness the Murakami way. Routines are pretty much evident in his books, especially in Japan. Imagine yourself working from 9:00am to 10:00pm, and then a 2-hour bus ride to and from work. Routines can be good or bad. In order to cope up with a bad and tiring routine, you must create another good routine to counteract. When going through bad days, you tend to lose touch of day and night. By establishing your own routine, you get to have something to look forward to. Take a bath by 7:00am no matter what, have breakfast cooked by 8:00am, lunch on the dot at 12:00nn. Add an after-work activity and make it routine just to unwind and de-stress. Toru Watanabe is a college student who works for a vinyl record shop. This is a glimmer of Murakami himself when he was in college and worked at an old vinyl shop, too. And now, decades later, he’s been known to have over 10,000 vinyl records inside his workroom. So we can only guess what’s playing in the background as he writes his books. Finding the write (right) playlist is one of the coping mechanisms of May Kazahara in Wind-up Bird Chronicle. She would skip class and find the right station and just stare out into the world beneath the sun. That’s how she copes with her bad days. Sometimes, music is good company too. Just like anything else, make sure to find the right one. Toru Okada, the protagonist in Wind-Up Bird Chronicle, is a stay-at-home man in suburban Japan. This has a certain stigma in a country whose culture of non-stop working from the age of 21 is more than encouraged and sometimes enforced. Toru is married to Kumiko, who works non-stop and leaves Toru alone in their house. When Toru is feeling blue and restless, he would clean the house to feel fresh and renewed. Afterward, he would throw back a bottle of beer and cook a nice meal, all for himself. He would sometimes iron clothes to get his thoughts straight. Want a solemn yet productive way to tame your mind? Household chores. Do them. All they do is wait. They get by while they can still get by. They would do all the outrageous coping mechanisms they can; not shaving until they feel better, or even climbing down a deep, dark well. The whole point is, you let it happen and then you let it pass. Everything is temporary, as someone wise once said.